Upon the upcoming anniversary of Timeshares Only, we announced the exciting launches we are bringing into 2019. As pioneers of the timeshare resale industry, we continue to set an example and build our brand alongside the changing needs of today’s consumers. 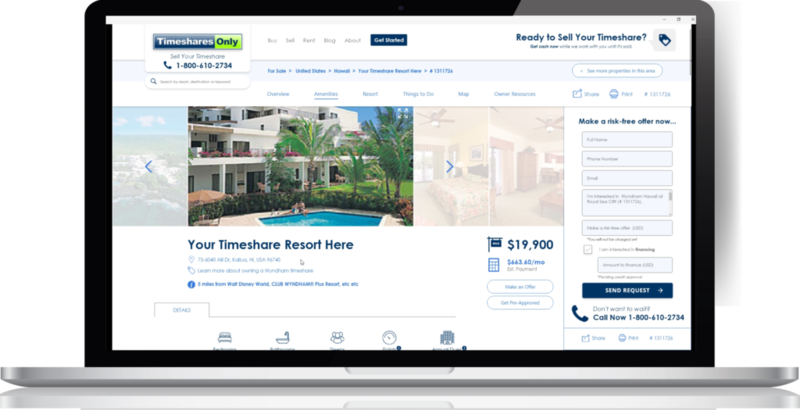 Buying a timeshare with our new monthly payment calculator from your own home will be easier now more than ever. With the upcoming launch of our newly-designed, sophisticated and innovative website, we’ve developed a convenient and impressive Monthly Payment Calculator. Timeshare buyers will be able to use the calculator right from home. Never seen before in the resale industry, the Monthly Payment Calculator makes the buying decision as seamless as ever. Comparing costs and researching the best prices of a timeshare on the resale market is one of the most time-consuming aspects of finding the right timeshare for you and your family. Clicking back-and-forth between tabs, losing track of informative web pages, keeping a physical calculator in hand and even taking notes makes this process such a pain. That’s why we wanted to make this process easier with the Monthly Payment Calculator. 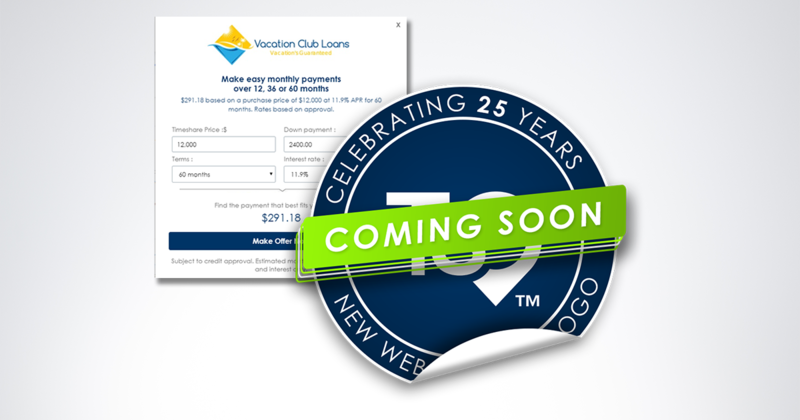 In partnership with Vacation Club Loans, buyers will be able to see more visible pricing of timeshares for sale. The calculator breaks down the prices into monthly payments for every timeshare on the market. It will also take into consideration interest rates and estimated down payments, so there are no surprises when it’s time to sign the contracts. 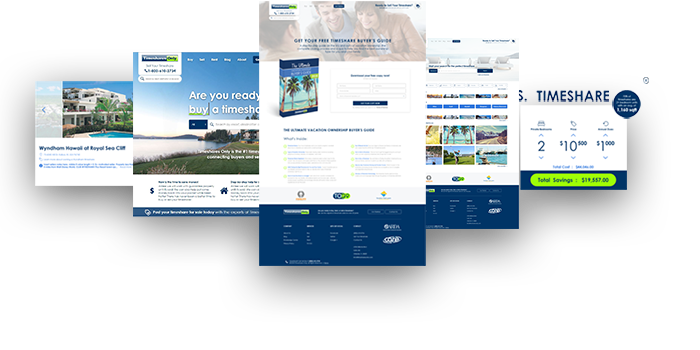 This never before seen tool will give potential buyers a better idea of what they feel comfortable spending on a timeshare. It invites the “maybe” and “I don’t know if I can afford it” nay-sayers into the realm of the resale industry. The approximate budget that the Monthly Payment Calculator estimates will bring greater value to the timeshare industry as a whole. It’s easy! Follow these steps and you’ll be finding approximate budgets for a resale property within seconds. Once you’ve browsed our large inventory of timeshare resale properties and found one that you are interested in buying, the estimated monthly payment shows up immediately on the page. Simply clicking on the calculator will open the Vacation Club Loans in-depth calculations window. Users are able to input and customize each field to find a monthly payment that works for them. Loan terms can range from 12 to 60 months. Interest rates go from 11.9% to 16.9%. Play with these fields to find an option that will work for you, and then make an offer! Once it is accepted, a trusted, licensed agent will contact you to continue with the closing process. Subscribe to the Timeshares Only blog for a first look at all of the new tools and features coming soon to the new website! We also post in-depth travel guides, industry news and helpful resources.